The travails of a group of permanent residents of a Florida motel. Writer-director Sean Baker now has six films under his belt, but it took his fifth feature, 2015's outstanding Tangerine, to put him in the spotlight. Shot on a rigged iPhone, that film followed the fortunes and misfortunes of a pair of trans prostitutes plying their trade in Hollywood. 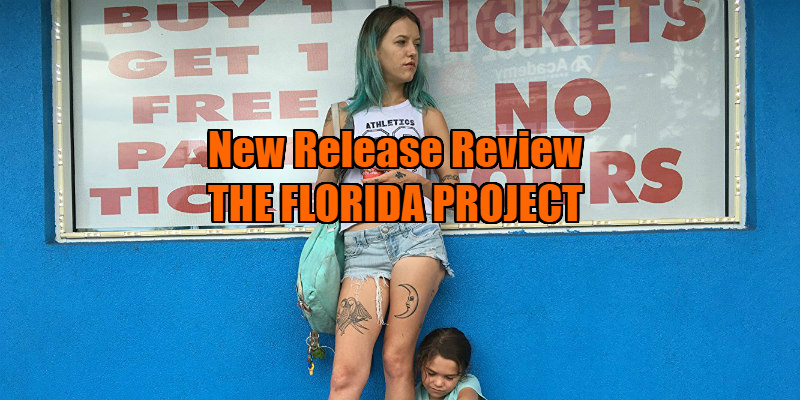 For his latest, The Florida Project, Baker continues to examine the American underclass, albeit with far less success. In the US, low income housing blocks are known as 'projects'. The project that gives Baker's film its title is a little different however - it's the Magic Castle, a garishly painted three storey motel complex that provides a makeshift home for an assortment of extended guests, a hodge-podge of the destitute and the working poor. Acting as a rough tour guide through this milieu is the precocious six-year-old Moonee (Brooklynn Prince), whose hapless mother, Halley (Bria Vinaite), herself little more than a kid, allows her free reign to explore the surrounding area, a landscape of motels, ghost estates and souvenir shops that falls in the shadow of the Magic Kingdom of Disney World. Moonee is in a bad place. Her mother makes her take baths while she entertains male 'guests', drowning out the noise with loud pop music, and feeds her child on a diet of soda and leftover pizza. But Moonee is too young to understand just how messed up her situation is, and as Kool and the Gang sing in the tune that accompanies the film's opening sequence, she celebrates good times. Acting as a paternal figure for the residents of his motel is the complex's put-upon manager, Bobby (Willem Dafoe). Much of his stress is caused by the anti-social behaviour of Halley and Moonee, but try as he might, he struggles to get angry with the pair. The first two thirds of The Florida Project are loosely assembled through a series of vignettes that allow us to bathe in the atmosphere of its location and the people who reside there. Baker and his talented cast (a mix of professional and amateur actors) create some charming sequences, helping us fall for the rugged charms of its struggling populace. Cast against type as the nicest guy you could hope to meet (as is Caleb Landry Jones as his son), Dafoe is marvellous here, and the movie is at its most interesting when it steadies its focus on Bobby, who we learn is struggling just as much as his tenants. Mildly irritating is how on-the-nose Baker's message about class division is here. Gone is the subtlety of Tangerine - whose beaten down protagonists street-walked over the stars on the Hollywood walk of fame - replaced by groan-inducing compositions in which scenes play out in front of giant Disney souvenir shops and characters repeatedly walk past a street sign that reads 'Seven Dwarfs Lane'. Far more effective is a quiet moment in which Bobby sneaks a much needed cigarette at the end of a long day, his face shaded in neon by the fireworks exploding in the distance, which crackle in the night sky like popcorn in a microwave. In the final third Baker switches focus to Halley, arguably the least interesting, and certainly the least endearing (one particular moment of violence shattered any sympathy I had for the character prior to that point) of The Florida Project's many characters. The convincing and remarkable verisimilitude of the film up to that point begins to crumble as Baker offers up soap opera scenarios, similar to how Ken Loach's I, Daniel Blake fell apart in its home stretch. The Florida Project's controversial coda (surely inspired by Xavier Dolan's Mommy?) has divided critics, but by that point I had grown so frustrated with the direction Baker's film had taken that it failed to provoke any kind of reaction from me. 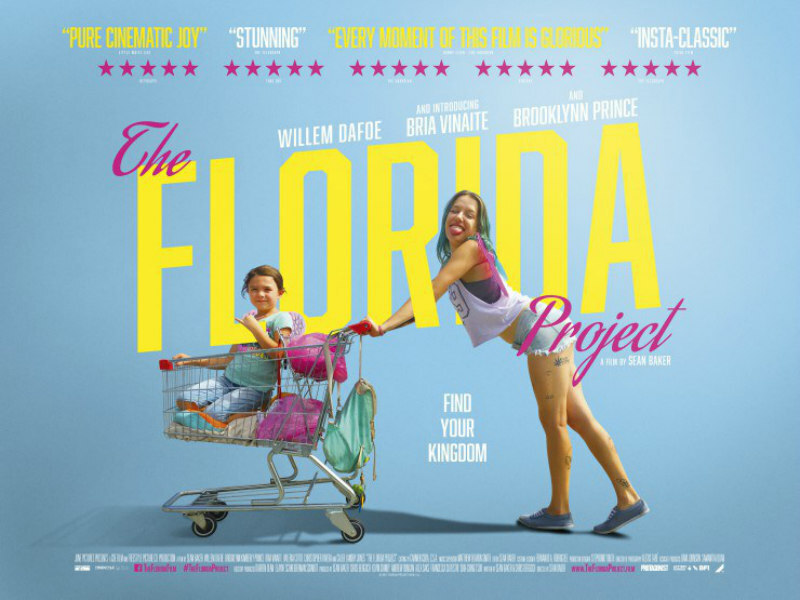 The Florida Project is in UK/ROI cinemas November 10th.